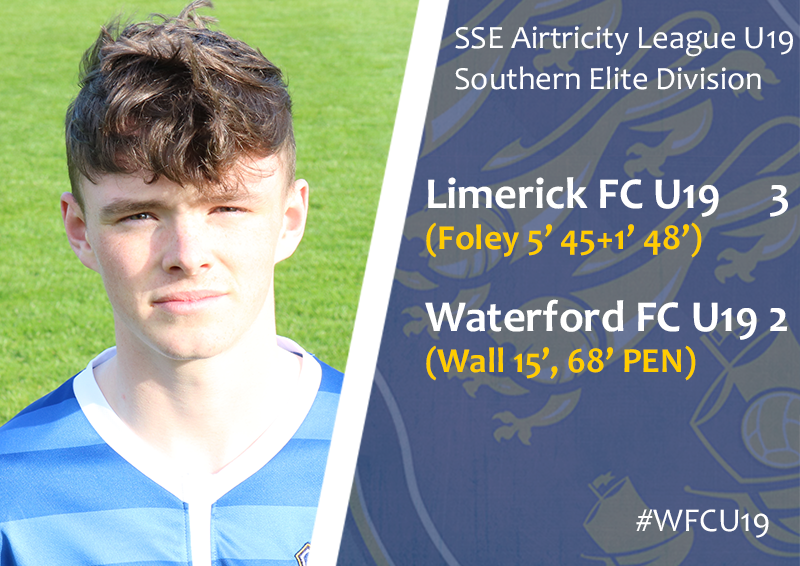 Waterford U19s fell on Sunday afternoon to a 3-2 defeat at the hands of Limerick. A hat-trick from Lims striker Adam Foley proved the difference and despite a fight back including a brace from Owen Wall, it wasn’t enough for David Breen’s men to seal a share of the spoils. With the Blues seeking their first competitive win of the 2017 campaign, the game got off to the worst possible start when they fell behind after just five minutes. Limerick striker Adam Foley found space on the edge of the box to slot past Paul Martin and give the home side an early 1-0 lead. After settling into the game, it wasn’t long before Waterford drew level. Owen Wall, fresh from having made the bench for the first team on Friday night against Shelbourne, finished well in the box after patient build up play. Confidence grew from drawing level and it was the Blues who started to get on top of the game. 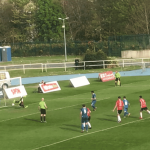 Irish U18 International John Martin went inches wide after getting on the end of a brilliant team move on 24’ while just a minute later Waterford left-back Darragh Corcoran came close as well as the Blues went in search of a second. 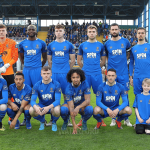 The game continued to swing with both sides enjoying periods of pressure but the Blues were finding it difficult in the final third to breakdown a Limerick rearguard marshalled well by the impressive Barry Cotter. Just as it looked like the sides would go in level at the break, the Blues conceded a soft free-kick which was whipped in and headed home by Foley for his second of the game. With David Breen and Paul Cashin hoping to see a reaction from their side having fallen behind on the stroke of half-time, they won’t have been pleased just three minutes after the break when Adam Foley completed his hat-trick to give the Shannonsiders a two goal cushion. Good build up play from Limerick to create the opening, Foley pealed away to the back post and finished at the second attempt after his initial effort was blocked. With the Blues looking to get back into the game, Tunmise Sobowale, Justin Croke and Glenn Waters were all introduced from the bench. A decent spell followed for the Blues and it was Croke who was to come closest to bringing his side back into it having going narrowly wide on 62’. The Blues were to find a breakthrough however six minutes later after a hand ball in the box when Limerick half cleared a corner. Up stepped Owen Wall to convert to secure his second of the game. With their tails up Waterford were again to come close with just under twenty minutes remaining. Tunmise Sobowale was brought down on the edge of the box and from the resultant free-kick Limerick managed to clear at the second attempt. The Blues continued to play good football and on 78’ Owen Wall came close to grabbing his hat-trick but from the edge of the box his effort went inches wide. Two minutes later substitute Adam Feeney won a corner with Sobowale rising highest in the box to go close with a header. Ultimately time was running to find a way back into the game with Limerick doing a good job of stifling the momentum in the final ten minutes to see out a narrow win. For Breen and his coaching staff, more promising signs and another encouraging performance but the quest for that first win in the league continues.